Cape Town - Fullback ... it is one of the most fluid-looking starting berths for the Springboks in World Cup year, at this early point. Which is why it should be considered a comfort by supporters of the national team that Warrick Gelant springs back into Super Rugby action from injury at just about the midway phase of ordinary season on Saturday. 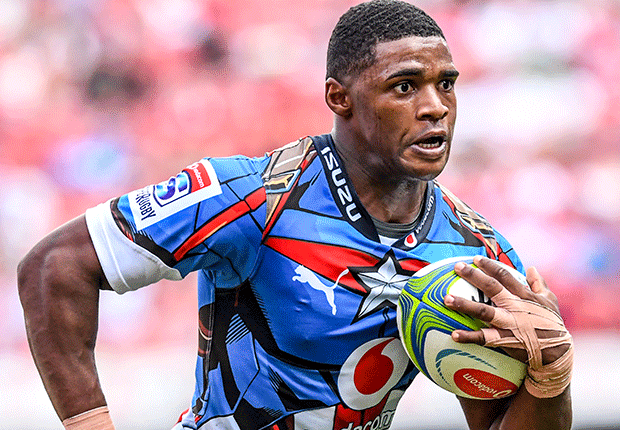 The Bulls play the eighth of their scheduled 16 pre-knockout matches when the Reds visit Loftus (17:15 kick-off) and, while a bye immediately afterwards won't be especially welcomed by the player specifically, hopefully it signals the start of a clear run of activity for Gelant in the lead-up to the Test campaign. After a dynamic start to the season, including starring in the 40-3 first-round dismantling of the Stormers, the man from reasonably rugby-unfashionable Knysna succumbed to a shoulder injury and has been missed by the Bulls (Chiefs, Sharks and Jaguares matches) in a period where they've blown decidedly hot and cold subsequently. This has become a critical match for the Pretoria-based outfit to win, after their late home horror against the Jaguares last weekend, and the presence of Gelant, along with other heavyweight international returnees like Handre Pollard, Jesse Kriel and RG Snyman, should pep up their prospects against the Queenslanders considerably. He will be fervently hoping, too, that shoulder woes are now a thing of the past: surgery in that area had heavily curtailed his 2018 season. Gelant, still only 23 and a former SA under-20 standout, will know that nobody really has the Springbok jersey in the last line of defence nailed down as his own. The incumbent is Willie le Roux, the Wasps-based sorcerer whose unpredictability can both be a blessing and curse, depending on your point of view and sometimes even prone to observers' hasty revision either way within the 80 minutes of a single match. He might well be branded the "veteran" of the position (though sometimes deployed elsewhere in the back three) for South Africa, considering his healthy 53 caps since 2013. Yet somehow Le Roux never quite manages to seduce people into believing that he stands head and shoulders above all other No 15 candidates, given his penchant for scatty moments that can negate his game-breaking abilities. The English Premiership player began three of the four end-of-year Tests for coach Rassie Erasmus in 2018, a venture where Bok fortunes were mixed (two wins, two losses) and so, frankly, were Le Roux’s. Stormers-based rookie Damian Willemse had earlier been handed a first start in the role in game one against England at Twickenham, where Le Roux was unavailable and the Boks' arguably lost primarily because a critical, late refereeing decision involving an Owen Farrell high challenge on Andre Esterhuizen went against them. Willemse was pleasing in the berth that day, but has subsequently rather flat-lined during the early part of 2019, not helped by the relative uncertainty over what represents his best role in a backline and the general poverty of the Newlands-based side's attacking play in Super Rugby, where they are lowest tournament try-scorers with an unflattering 11 from seven matches. Last Friday, Sharks whippet Curwin Bosch, not always at the forefront of mastermind Robert du Preez's plans, suddenly produced almost certainly the most dazzling offensive SA fullback showing of the season as the coastal side murdered the Lions in their own supposed stronghold, which will raise fresh murmurs of whether he is misunderstood or ill-appreciated, and thus worthy of fresh consideration for the Bok berth - especially with that formidable boot of his. 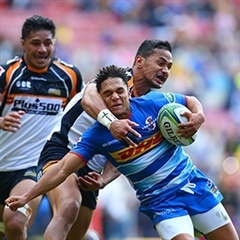 There is also French-based excitement machine Cheslin Kolbe to chew over, although both he and Bosch would not be hugely willing picks by rugby conservatives who like their No 15s to be physically sturdier and taller; Kolbe has also been preferred primarily for wing duties by Erasmus up to this juncture. Always a marvellously constructive runner when in decent space and able to be elusive from tight spots as well, Gelant, before his latest injury disruption, had clearly been working commendably to become as "complete" a fifteen as possible. It would be heartening for green-and-gold purposes if that process quickly becomes apparent again.